There are several great pubs in Budapest to have fun, let the crazy atmosphere sink in, and enjoy good chats with some nice drinks. Many of the pubs in Budapest have live concerts, not only at the weekends, especially in the popular ruin bars in Budapest. Luckily, in fair weather, the terraces open up and the pub life moves outside. 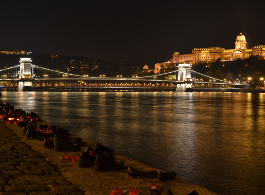 In Budapest Pub Crawl tours, you can expect to visit some of the popular and really cool ‘ruin pubs’ in Budapest. Ruin pubs are in fact trendy quirky bars have been set up in abandoned 19th century residential houses, most of them in District 6 and 7 (District VI and VII on Budapest tourist maps). The pubs feature awesome, quirky designs. 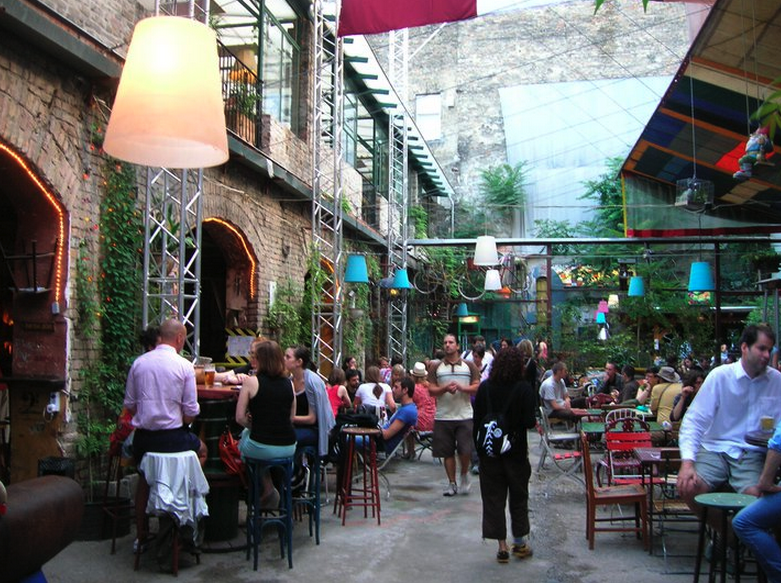 Budapest has a wide array of ruin pubs like Szimpla Kert (Simple Garden) ruin pub, the very first one of its kind, Corvinteto ruin pub, Instant pub, Ellato pub, Kuplung, etc. Here is a modest and laid back ‘by day’ photo of Szimpla Kert ruin pub, downtown Budapest. Where else the tour will take you? Maybe a boat pub, or pubs along the river Danube. You will surely enjoy it. Book your place on a Budapest Ruin Bar Crawl in advance, and discover the best places of the city with locals and fellow travelers. 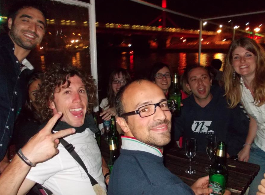 The Budapest pub crawl tour is usually a mid or small group tour, offering several welcome drinks and a fun crawl with a local guide in some of the best pubs and bars in Budapest, Hungary. After the pub crawl you can keep on partying on a Party Boat on the Danube, and then go on and have a late night fun in a cool club. If you have a hangover, get back your energy level by relaxing in one of the best Budapest baths. You will have a chance to try some Hungarian specialties like the Hungarian brandy called Palinka, or the bitter herbal alcoholic medicine Unicum, Hungarian beers like Soproni beer or Dreher beer, Hungarian wines, etc.